Разстояние до летището 4,3 км. Имате въпрос към Dorcas Service Apartments at Marina Court Resort? Dorcas Service Apartments at Marina Court Resort е предпочитан както от пътуващите по работа така и от туристите заради качествения и удобен престой, който предлага квартал ресторанти, плажове, разглеждане на забележителности на Кота Кинабалу. Разположен само на 1.6 km от центъра на града и на 5.3 km от летището, този 1-звезден хотел привлича всяка година множество посетители . Добре поддържаната околност и доброто местоположението в близост до Площад Уарисан, Дайхацу Апи-апи Център, Airworld Travel & Tours са част от специфичния чар на този хотел. Предлагайки висококачествени услуги и широка гама от удобства, Dorcas Service Apartments at Marina Court Resort Ви осигурява възможно най-комфортния престой. Подбор на съоръжения от най-висока класа като безплатен WiFi достъп във всички стаи, Wi-Fi връзка в общите части, паркиране на автомобили, паркинг, летищен трансфер, са на разположение за Вас в хотела. Атмосферата на Dorcas Service Apartments at Marina Court Resort се усеща във всяка стая. Удобства като безжичен интернет достъп (безплатен), климатик, бюро, балкон/тераса, вентилатор са само някои от даденостите на обекта. Хотелът разполага с множество уникални възможности за отдих, като например сауна, открит басейн, спа, басейн (за деца). Когато търсите удобно и комфортно място за настаняване в Кота Кинабалу, изберете Dorcas Service Apartments at Marina Court Resort, който ще се превърне във втория Ви дом. Please note that this property is an independently operated by individual owner. It is a private unit of vacation home and therefore does not have a check in counter. The owner will arrange a session of ‘Meet & Greet’ for key handover and familiarization of the property. Guests will have access to owner’s contact details in case of any query of the property. The cons- Upon arrival i noted sticky floor and questioned whether the unit had been clean or not. Yes the unit is old but i dont mind if it clean. they didnt bring us towel as promised.. on the 2nd day stay.. the bed sheet really bother me... its doesnt look clean like it never been wash. The pros- Good things they provide us with astro enjoi and good wifi. And the unit is very big though n very close to philipines market. convenient to go everywhere. opposite with shopping mall and night market. We are so lucky to get one of the best house unit from Dorcas company. The interior design of the house so nice and modern. Both bathroom are in good conditions. Marina Court Resort has another few of company who run the rental house like this, but some of them are worse. We got to stay here more than 2 times, and this Dorcas is the best compared to the others house. Everything else is OK. Except for the cleanliness of the bed. All of us including the children have red marks and itchiness because of the bed bugs. My sister's baby got bitten really badly. Отседнахме 2 вечер/и в януари 2017 г.
so many insects, I completely can't sleep. I spent oweful night I originally planed to stay 2days, but I couldn't contact owner, I finally moved to another hotel. Anyway I couldn't cancel one day of two days. Отседнахме 4 вечер/и в януари 2015 г. 1. The apartment was very clean, made us feel like home away from our own home 2. 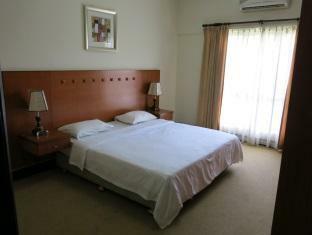 Comfortable linens, bedsheets, sofas, facilities like washing machine, fridge really helped us a lot 3. 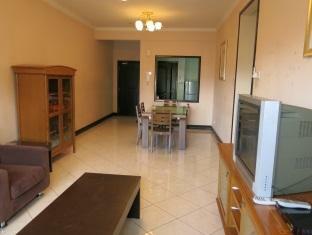 Very close to shopping areas 4. The only thing was we cant cook because the apartment belonged to a chinese man, we are concerned on thorough cleanliness for us muslims. This unit is within a condominium, the rate is good for us, as we have 6 adults, would required 3 hotel rooms. The swimming pool is clean and clear, we fully utilised the washing machine, to clear some of our laundry. WIFI speed is good. Cable TV is minimum, close to nothing. Overall, staff is helpful, we were provided with 2 additional pillows when requested, money value. Good location.. a bit old but cheap..
As usual its value for your money if u go by group. worth the price, suitable for family.